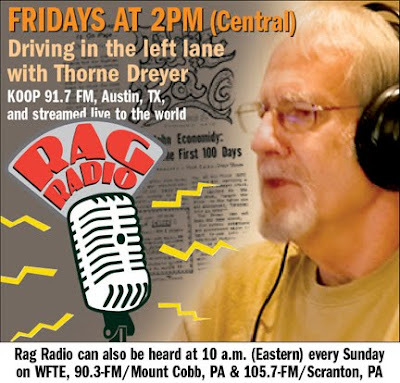 The Rag Blog: Special Correspondent : Rag Blog Editor Dreyer Has Alleged Birthday! 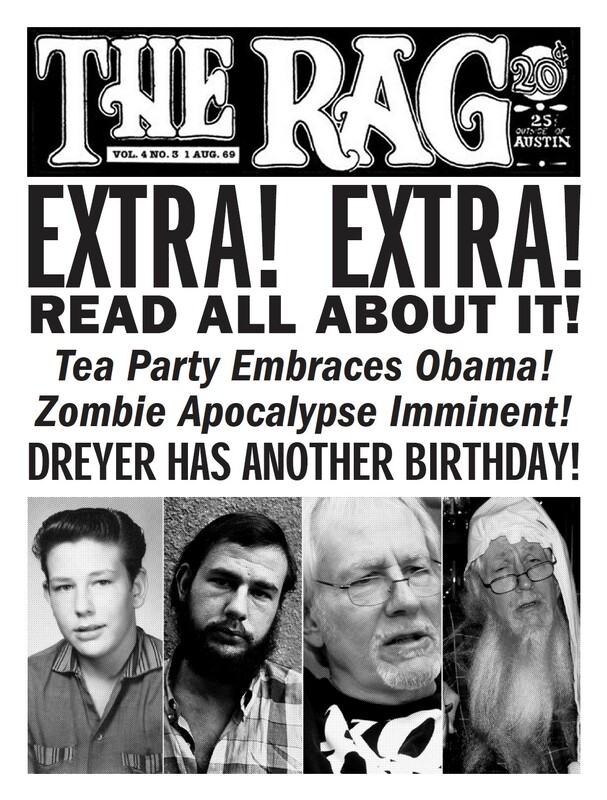 Special Correspondent : Rag Blog Editor Dreyer Has Alleged Birthday! Ridiculous graphic by James Retherford / The Rag Blog. 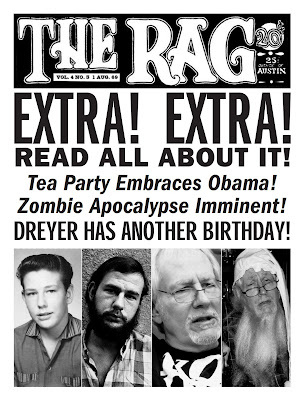 Rag Blog editor Thorne Dreyer's alleged 'birthday' event to be held Friday, August 2, from 6-9 p.m., at Maria's Taco Xpress, 2529 S. Lamar Blvd in Austin. AUSTIN, Texas -- In a surprising development, usually reliable sources close to the subject report that Rag Blog editor and Rag Radio host Thorne Dreyer actually intends to celebrate another birthday. This will be the 68th straight year that this unprecedented event has occurred. Records show that Dreyer was actually born on August 1st, 1945, in Houston, Texas, but, in another twist to this developing story, he has asked his friends and “extended community” (he would also appear to be delusional) to join him Friday, August 2nd, from 6-9 p.m., at Maria’s Taco Xpress, 2529 S. Lamar Blvd in Austin. Maria’s food menu and full bar will be available and blues-rock singer Leeann Atherton and her band will perform -- reportedly under protest –- at 7 p.m. on Maria’s patio. Tom Hayden : Is Obama Really in Control?